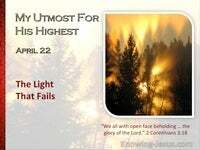 What Does John 1:23 Mean? He said, "I am a voice of one crying out in the wilderness: Make straight the way of the Lord -just as Isaiah the prophet said." There are names of biblical prophets, like Abraham, Moses, Elijah and Isaiah, that are more highly esteemed and widely recognised than John the Baptist, and yet the Lord Jesus said that among those that are born of women, there is none greater than John. The voice of God’s holy prophecy had been silenced for 400 years, due to Israel’s continued apostasy, and refusal to repent.. and their punishment for breaking their covenant with the Lord, continued under the cruel captivity of the brutish, Roman empire. The three previous kingdoms, of Babylon, Persia and Greece, had risen to world dominance, conquered nations and been defeated by their enemies, just as Daniel prophesised.. and so the intense longing for the promised Messiah of Israel, grew stronger with every passing year. Israel longed for the prophesied Seed of the woman to come, as the Lion of the tribe of Judah. 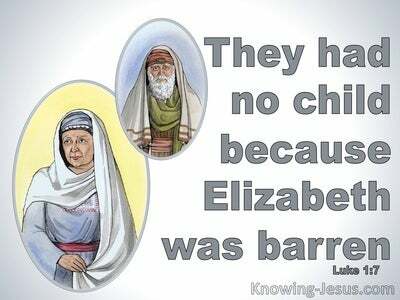 He was to be born into the royal house of David – Israel’s great shepherd-shepherd king. They were ready to welcome their Messiah-Prince, Who was to save His people. He had been anointed by God, and was to be installed as His appointed King on Zion.. on the holy mountain of the Lord. He was to set up the heavenly kingdom, that had been promised for ages and generation, and He was to rule the whole earth in justice and peace. God’s Annointed-One was to be crowned as King of all kings and take up His position as Judge of the whole earth. He was to bring in the promised time of peace and prosperity for all people. However, Israel anticipated a warrior King, who would save His people by overthrowing their Roman slave-masters. Indeed, when the figure of John, the son of Zechariah the priest, stormed onto the scene, with his charismatic personality and stormy challenge to “Repent, because the promised Kingdom of Heaven was near – it caused multitudes to flock to the wilderness of Judea, in anticipation of a great and mighty rescue. 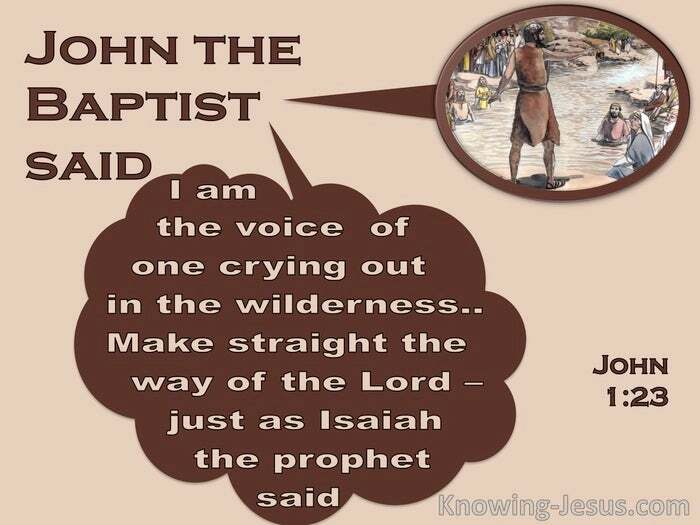 John was indeed the voice of one, crying in the wilderness, as foretold by Isaiah. His mission was indeed to make straight a highway for the Lord. John the Baptist was most certainly the singular voice of prophecy in Israel, because He was making way for Jesus.. the SEED, promised to Abraham. The PROPHET, greater than Moses, the prophesised MESSIAH of Israel, who was to sit on the throne of David – as KING of the Jews – Who would save His people. 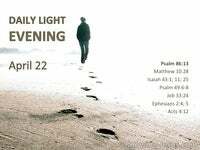 John was simply a voice – a messenger of God. He was the herald, who was sent ahead of Christ, to announce that the day of their visitation was near. Their Saviour was coming and He had the Words of eternal life, for He was the Incarnate Word of God. He was the Lamb of God, Who would take away the sin of the world. John proclaimed the tidings of great joy, that the Child Who was to come through a woman, was here – the Son Who was to be given, by the Father, had arrived. 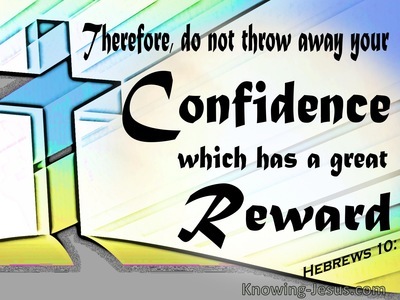 Repent for the KINGDOM is near, was John’s challenge to Israel. The King was in their midst and He was to save His people, Israel. But God’s salvation painted a very different picture from Israel’s perceived imagination of deliverance, at that first advent of the Lord Jesus Christ. 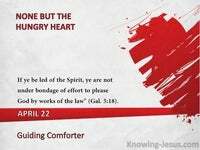 He shall save His people from their oppressors but FIRST He must save them from their sin,. The kingdom was indeed to be set up – but FIRST they must be redeemed, by a Kinsman-Redeemer. They would be able to enter the kingdom of heaven but FIRST they must repent of their national sins for the Kingdom of heaven was near. FIRST must come national repentance for centuries of sin before national victory and entrance into the eternal Kingdom. FIRST the Cross and then the Crown. 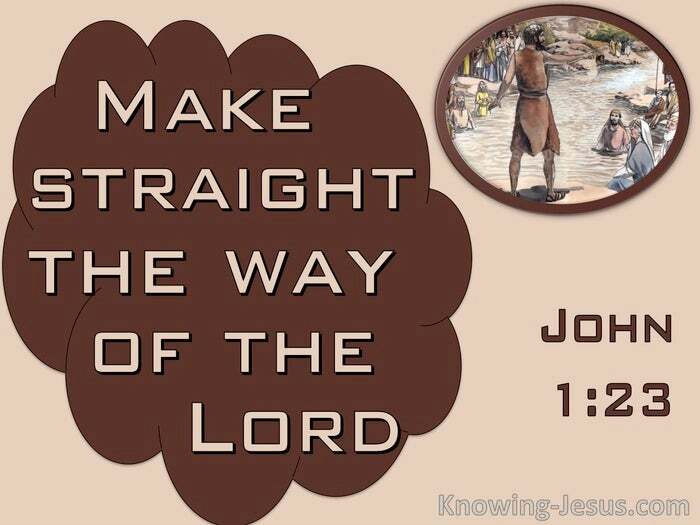 John came as the voice, crying out in the wilderness: Make straight the way of the Lord, just as Isaiah the prophet said. He came to prepare Israel to turn away from centuries of apostasy and idolatry and back to the living God. 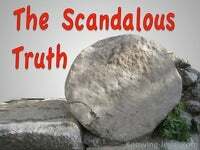 They were being called to remove everything in their lives that hindered their walk with the Lord, and accept the King, Whom God had anointed to rule over them – they were to repent of their sins. 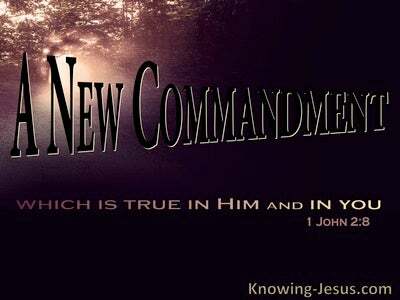 John was the human voice (PHONE) and Jesus was the incarnate WORD. (LOGOS). Sadly Israel as a nation did not listen. We will NOT have this Man rule over us, was the national cry at His first coming – but as many as received Him to THEM gave He the right to be sons of God, the bride of the King – and members of Christ’s body. 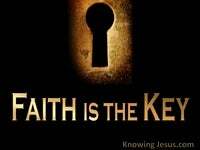 Those who received Him were to gain entrance to the eternal Kingdom of heaven on earth. (which starts with His 1000 year reign on earth). But the day is coming when all Israel will be saved – for at the end of the coming great time of tribulation they will repent as a nation. The day IS coming when Israel will finally recognise Christ as God’s anointed King, and will rejoice to see the rescheduled day of their second visitation. That is the day when Jesus returns as King of kings and Lord of lords. First the CROSS and then the CROWN. Heavenly Father, thank You that by Your grace I responded to the call to turn from my sin to Jesus, and trust in Him for the forgiveness of my sin. Thank You that despite being rejected by the nation of Israel, there are many Jews who responded to the warning voice of John the Baptist, and have become part of the one New Man in Christ – where there is neither Jew nor Gentile. We look for that day when Christ will return for His Church, and pray for the day when Israel as a nation repents of their sin, turns back to God and acknowledged Jesus as Lord and King – This we pray in Jesus name, AMEN.